Don’t miss out on our upcoming Camps & Programs! 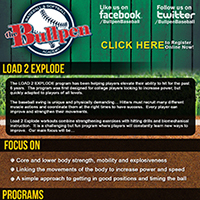 The LOAD 2 EXPLODE program has been helping players elevate their ability to hit for the past 6 years. 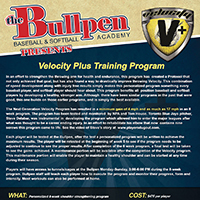 The program was first designed for college players looking to increase power, but quickly adapted to players of all levels. 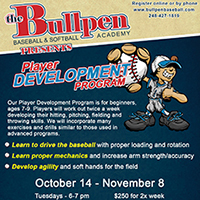 Our Player Development Program is for beginners, ages 7-9. 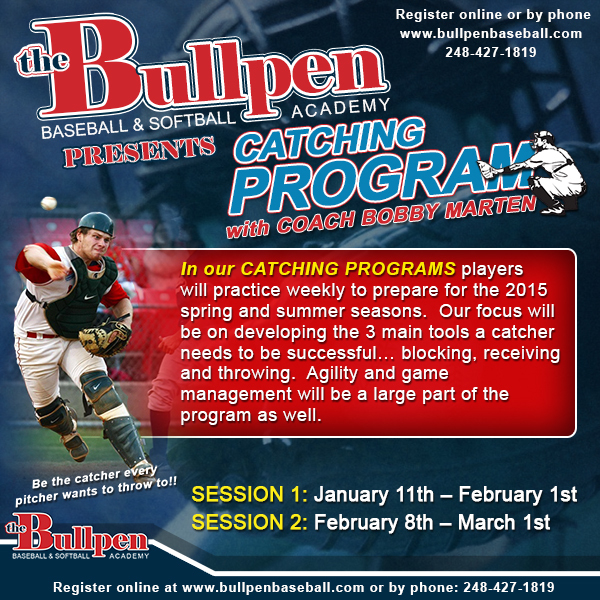 Players will work out twice a week developing their hitting, pitching, fielding and throwing skills. 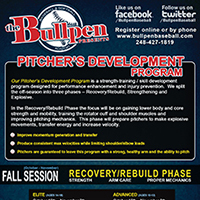 Our Pitcher’s Development Program is a strength-training / skill development program designed for performance enhancement and injury prevention. We split the off-season into three phases – Recovery/Rebuild, Strengthening and Explosive.